Full-Service Outsourced Bookkeeping - Welcome to Account-Ability Business Services! © 2016 ACCOUNT-ABILITY BUSINESS SERVICES / VIRGINIA MEYERS. All Rights Reserved. 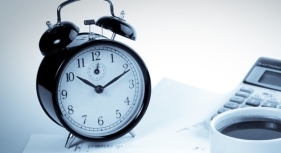 "The time-saving solution for small businesses"
Need Bookkeeping Help? Frustrated with QuickBooks? business to the next level with my professional bookkeeping service. including software installation, setup, bookkeeping cleanup, and ongoing retainer work. areas, I can give you the most accurate books and all-around support possible. make sense of their finances, allowing them greater control over their business. Contact me today to get started and schedule your Free Consultation! services are performed remotely. Click here for more information.